In a small wine region at the bottom of the world, there is a wine revolution happening. The place is Swartland and the revolution is led by a group of energetic, young winemakers and small, family-run wineries that are revitalizing this once abandoned wine region. Prioritizing craftsmanship and expression of place, they are making honest, natural wines that are extremely exciting. One of the talents to watch from this area is Andrea Mullineux from Mullineux and Leeu Family Estates. Originally from Northern California, Andrea fell in love with the region and settled in South Africa with her husband, Chris Mullineux, in 2007. Now, she is putting herself and Swartland on the map. Swartland, which means “black land” in Afrikaans, is named for the indigenous renosterbos, a dark grey bush that turns black after the rains. Although the bush has been edged out by wheatfields and grapevines in recent years, the term “black land” seems to stick as a sort of metaphor, indicating its “black sheep” status among the other, more popular South African wine regions. Wild and beautiful, Swartland resides in the Western Cape and is marked by its rolling hills and craggy outcrops from the Paardeberg, Kasteelberg and Piketberg Mountains. The climate is warm and dry, tempered by the cool, maritime breezes off the chilly Atlantic. More interesting are the soils, which are some of the most ancient viticulture soils on earth, called the “Cape Supergroup.” Left after the continents separated, and shaped by tectonic activity, the surrounding mountains and hills are sandstone outcroppings on top of granite and shale. In this rugged landscape, even the weeds seem to struggle to grow. Andrea discovered South Africa in 2004 on an internship after college and fell in love with the dramatic landscape and exciting wines. She then moved to Chateauneuf du Pape, where she met Chris Mullineux. The two fell in love, got married and decided to move to back to South Africa. After working at Tulbagh Mountain Vineyards for a few years, they started their own winery, Mullineux Family Estates, with Andrea as the winemaker and Chris as the viticulturist. For Andrea, it seemed like a natural a fit. Her passion for the wines of the Rhone and Loire played perfectly with the Swartland’s history and geography. The region was perfectly suited for these varietals, and unlike the more popular South African wine regions that had torn up their old vines and replanted to Cabernet Sauvignon and Sauvignon Blanc, the post-apartheid vineyards in Swartland were still planted to Chenin Blanc and Syrah vines, many of which were decades old. “I wanted to make wines that expressed this unique place,” she says. For her that meant minimal intervention and keeping the process as natural as possible. To maintain the elegance of the fruit, the wines are not overly extracted. There are no added ingredients such as yeasts, acids or enzymes, and there is a very conscientious use of oak. Under the Mullineux Family label, they make several wines, anchored by their “Mullineux Range” which consists of three wines - a Chenin Blend, a Syrah and a Chenin dessert wine - that they consider the ultimate marriage of varietal and place. Their second label, Kloof Street, consists of two wines, a Chenin Blanc and Swartland Rouge, that focus on “freshness, balance and drinkability.” In great years, they also make small quantities of ultra-premium, terroir-based wines that are the finest expression of this area. 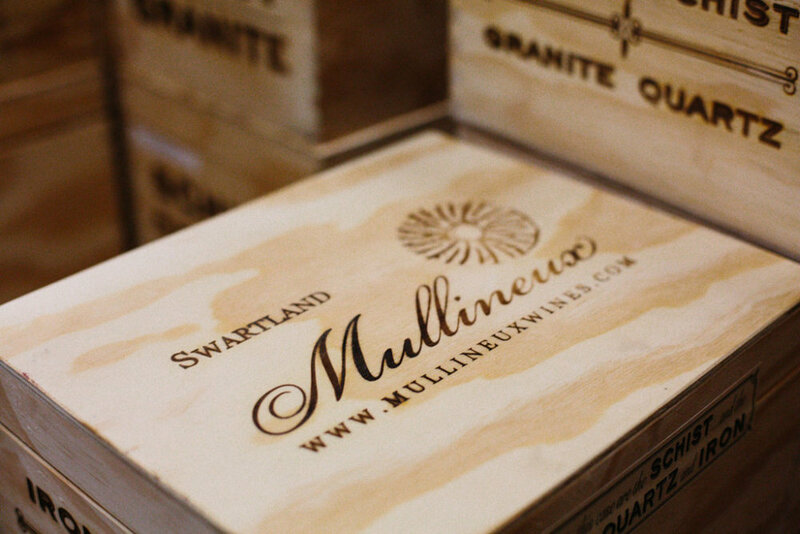 Within a short amount of time, Mullineux wines have become one of South Africa’s most celebrated brands. In 2010, Andrea and Chris teamed up with fellow winemakers in the area to form the Swartland Independent Producers (SIP), dedicated to raising the profile of the region. Although the Mullineux Family wines are exclusively from the Swartland, the couple paired up with Analijit Singh from Leeu Passant to make multi-regional wines from old vineyards throughout South Africa. Today, in partnership with Singh, the winery is called Mullineux and Leeu Family Wines. In 2016, Andrea was named Wine Enthusiast’s Winemaker of the Year “for her outstanding wines, collaborative efforts to revolutionize a region and constant drive to be a better winemaker.” Today, she also makes two wines from her home in Northern California, which she calls Fog Monster. With this brand, she sources grapes from vineyards that “excite and intrigue” her. 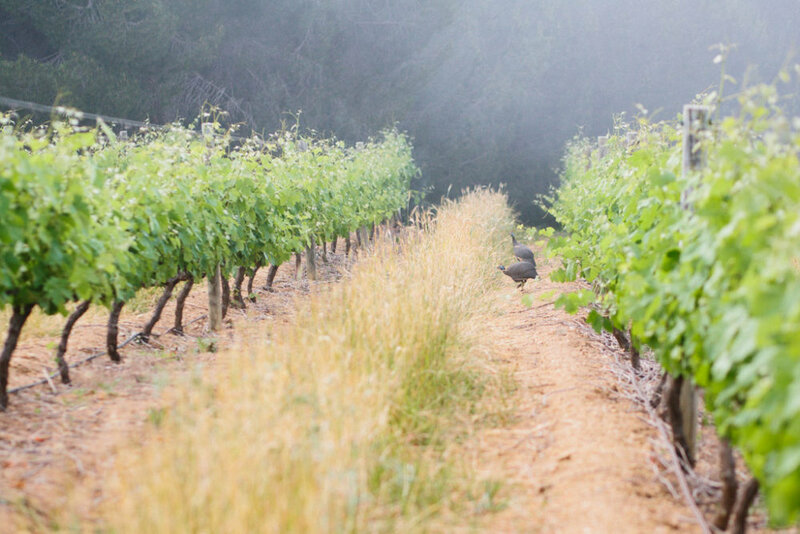 Usually, this includes one wine made from the Bedrock Vineyard, along with another stellar vineyard for the vintage. It’s a passion project of hers, dictated by whimsy, so there is always an element of surprise in what each year will bring. Andrea, like Swartland itself, expresses a youthful energy and a bright future. Judging by the wines that we’re tasting already, both are going to be something to watch in the upcoming years.